What are Common Symbols in Spiritual Dreams You Need to Know? You are here: Home / Spiritual Meaning / What are Common Symbols in Spiritual Dreams You Need to Know? Every dream is a story about an individual. 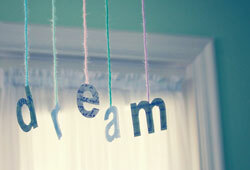 The dream meanings somehow probably teach us a lesson or show us our true self. When you are trying to interpret your dream, it is important to work with your own meanings of symbols before reaching for a dictionary of dream meanings. But, is it acceptable to use the standard dream dictionary to explain the common symbols in spiritual dreams, these we receive from the God? Common objects, colors, animals, locations, or anything else can mean different things to people based on their associations and impressions of those things. They are unique to each person in some ways. Dream gives one an opportunity to look into their subconscious mind and allows them to understand their personal psychological transformation during the waking life. Obviously, every dream is filled with symbols stemming from the unconscious. Interpreting your own dreams gives you an interesting glimpse into the totality of your mind. Unraveling the symbol meanings in spiritual dreams is a personal process, shaped by the dreamer’s experiences, mentality, and perceptions. Keep in mind that the meanings of symbols should be used only as guidelines. Dream analysis is a fun, interesting method of self-reflection and conscious personal development. However, remember that all the dreams are very personal and esoteric in nature. Learning the dream language is similar to learning a foreign language; the only difference is that you are the teacher as well as the student. 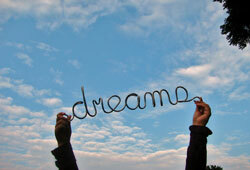 I suggest you should start your own personal dream dictionary in studying your dreams. In order to decipher the meaning of common spiritual dream symbols, a principle of biblical interpretation called “The Law of First Mention” can be used. Below are some symbols usually found in spiritual dreams and a short description of what each one means. Hope the meanings mentioned here can help you understand what God wants to speak to you. How about Spiritual Meanings of Dreams About Dogs? Find out NOW! In short, God has made it possible for you to know Him and experience an amazing change in your own life by delivering common symbols in spiritual dreams. Can you find peace with the Lord? 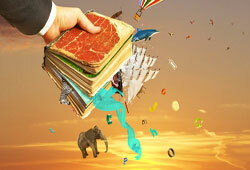 Learn how to interpret dreams to discover your deep self as well as have a wide knowledge about this area.